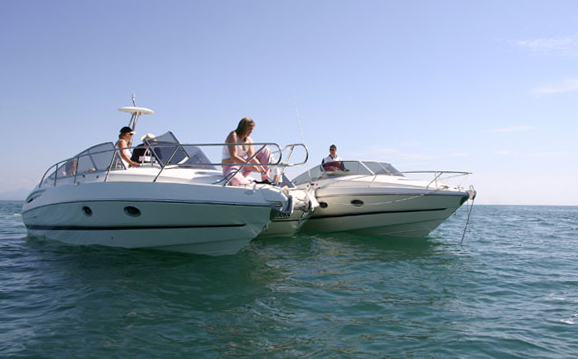 Boat builders and aftermarket installers are usually careful and professional. But the devil’s in the details. Be alert to construction flaws like these. 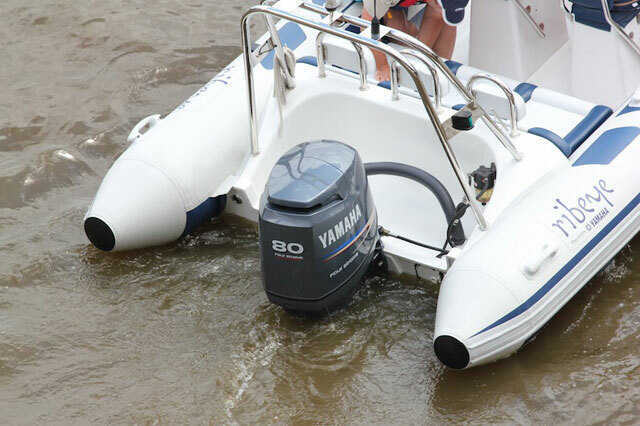 There’s a lot to think about when installing any marine system or component on board. 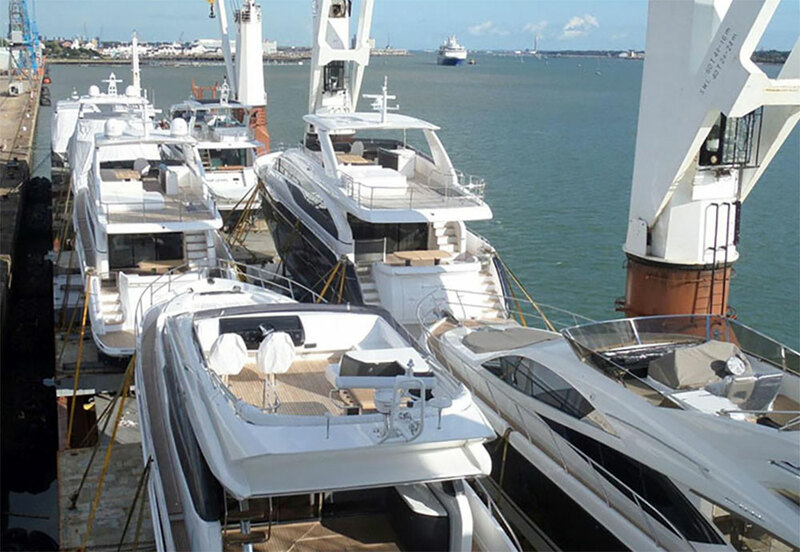 In a given year I inspect approximately 50 different boats to check the quality of their systems installations, both from a standards compliance point of view and a quality/maintenance perspective. 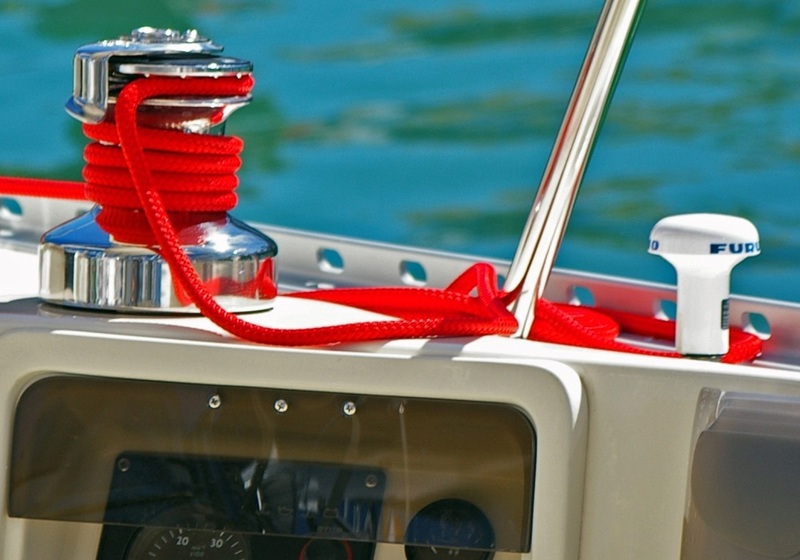 The items identified here are things you may want to consider checking on your own boat. Correcting problems like these can enhance your safety and keep your long-term maintenance tasks to a minimum. Links under each item lead to more detailed explanations. End-grain plywood should be epoxy-sealed to prevent delamination from water absorption. Although not really a safety issue, unsealed plywood end-grain will ultimately turn into an unsightly mess and major maintenance issue as water finds its way into the laminate and the laminate begins to separate. 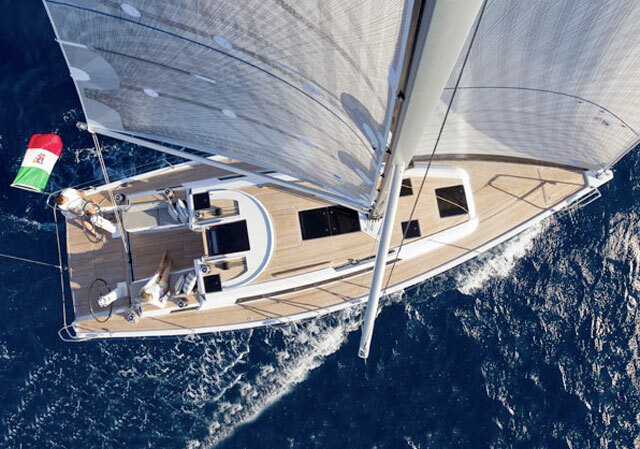 Most boats today have veneered plywood in their interior cabinetry, bulkheads, and cabin sole. Some builders are switching to synthetic cabin sole materials, but the cabinetry is still marine plywood. Correct this issue before the wood on your boat begins deteriorating by sealing wood end-grain to prevent delamination. A few simple steps can avoid catastrophe - The terminal on the left is seriously overloaded with connections. 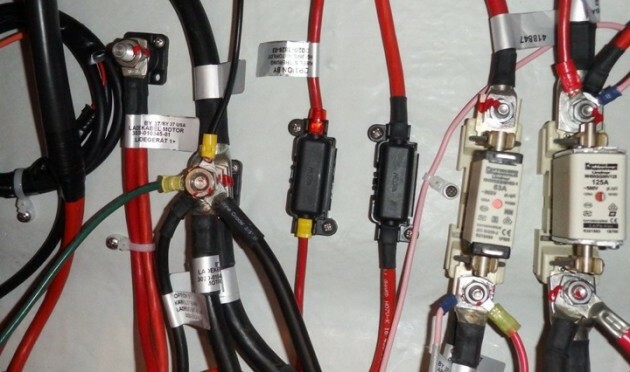 Modern boats are all moving toward printed circuits on the backside of their electrical distribution panel boards. One of the questions regarding these PC boards is whether they are weather-sealed. It wouldn’t take much corrosion to cause havoc in one of these boards, and finding a replacement easily will probably be difficult and costly. See how you can easily avoid this potential catastrophe. One of the things I see on new boats is the use of nylon tie-wraps to secure wire and cable runs and plumbing hoses in engine room spaces. This is a potential nightmare waiting to happen. These tie-wraps are going to become very brittle after a few years of engine room heat exposure. Eventually they will fail and the hose or wiring they’re supporting is now going to become loose in the engine room. The risk is that the wire or hose will fall out of place and encounter an extremely hot exhaust or turbo-charger housing, or rub against a spinning pulley on the front of the engine, chafing through the wire insulation or the hose. It the case of the wire, fireworks will be the net result. In the case of the hose, a washdown of all the components in your engine room space could occur. Check out the best way to secure cables and hoses in your engine room. 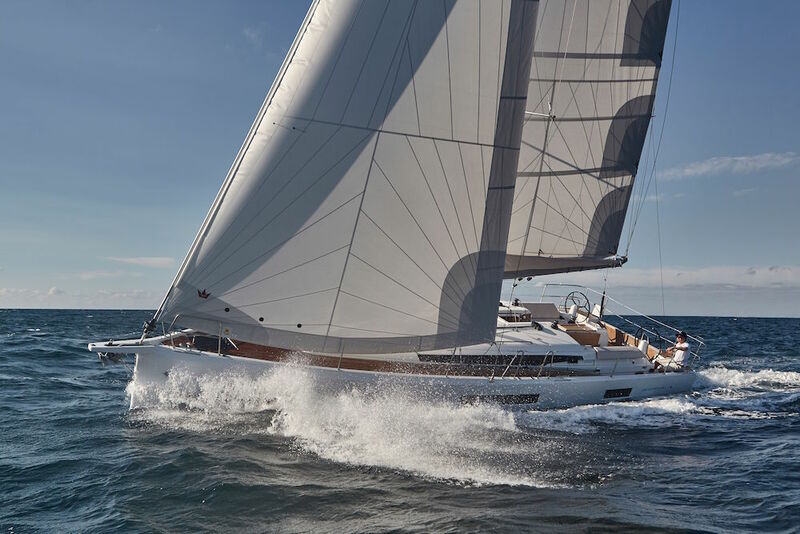 It’s vitally important for boat owners to think “dynamically.” This means imagining and anticipating what will be happening aboard when the boat is underway or even at anchor away from home port. Conditions on board may be considerably different than they are when secured to a dock in a protected marina. A classic example of potential danger is shown in the article below, with a generator exhaust outlet installed directly below an opening port light. See if your exhaust outlet placement is safe. This boarding ladder might prove hard to deploy from the water, especially in rough seas or when the swimmer’s hands are cold and numb. What happens when you’re in the water and can’t access your boarding ladder to climb back onto the boat? This all-too-common issue could end up being a life or death matter. Standards dictate that reboarding means be provided and deployable from the water. That said, there are still some flaws in this standard, in my view. See if your boarding ladder is safe. Significant improvements have been made in the past decade to onboard firefighting equipment and the ways in which it’s used. 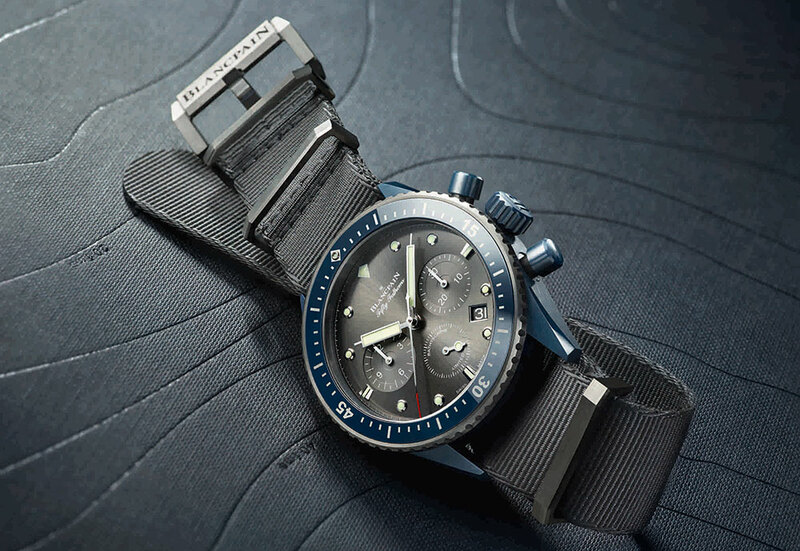 But it’s still quite possible to make simple mistakes in equipment selection that could create a real panic situation when the chips are down. Read this feature about onboard fire prevention. Without a doubt, some of the most common design/installation errors I see each year have to do with battery installation. These problems hit on many fronts. A magnetic compass will be thrown off by nearby electrical fields. Make sure your compass is properly adjusted for the influence of electronics. 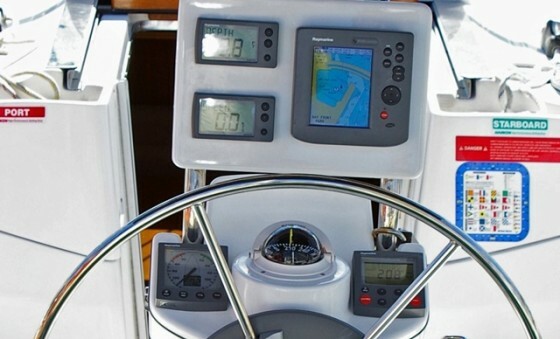 Although most modern mariners rely on GPS and chartplotters to get from point A to B, the on-board compass could save the day when the display screen on your chartplotter goes blank for no known reason. Then it’s time to plot a course using the paper charts you wisely hid under the cushion in your main cabin, and follow your compass. But is your compass accurate? Here are some important issues that may impact compass accuracy. 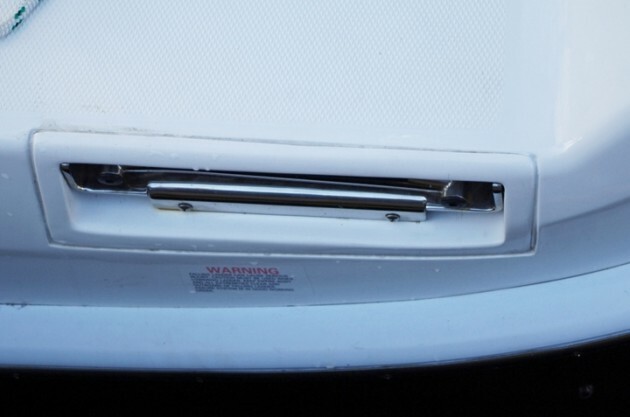 Exposed self-tapping screws in areas where boaters are likely to be reaching or crawling around can easily turn into into a serious safety issue. Sharp screw points can really dig in if you scrape up against them hard enough. I have scars on my arms to prove it! There are ways to overcome this risk, discussed here. 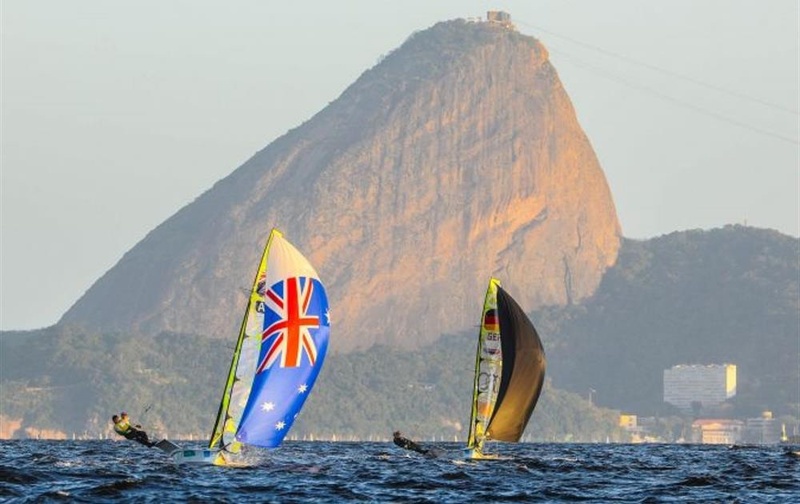 Just about every boat bigger than a dinghy is going to have a GPS on board these days. The question is always where to mount the external antenna, if equipped. This is another case where thinking dynamically can save the days. 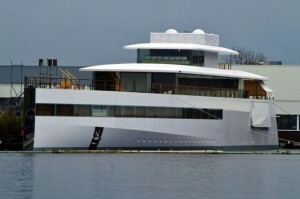 What will be going on when the boat is in use? See how GPS antenna placement can make a critical difference. Think dynamically about what will happen when your boat is underway. This GPS antenna is almost sure to be broken sooner or later.